don't realize is that WordPress is not just a blogging tool. It's also a highly flexible content management system, or CMS, that enables you to build and manage your own full-featured website, using just your web browser. Best of all, it's completely free. 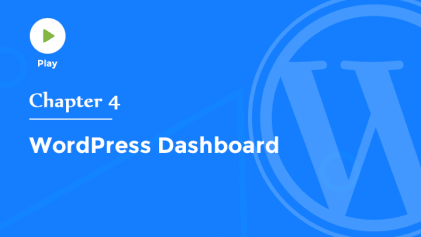 That's because WordPress is an open source project, which means that hundreds of volunteers from all around the world are constantly creating and improving the code for the WordPress software. And there are thousands of plug-ins, widgets, and themes, that enable you to build a completely custom website for just about anything you can imagine. on industry standard PHP and MySQL, WordPress can run on just about any modern web server. There are several reasons WordPress is a great choice for building your blog or business website. all over the world working on it, WordPress is constantly evolving and improving. Second, it's user-friendly. Rather than having to hire a web designer or contact a webmaster every time you want to make a small change to your website, you can easily manage and update your own content, all without having to learn HTML. or even add new features, like polls or contact forms with just a few clicks. Next, if you run into problems, or if you want to add some highly customized features, it's easy to find support or hire someone to help you. In addition to the tutorials on this site, there are also thousands of WordPress developers and designers who could help you. The official WordPress forum is a great place to get answers to your questions. 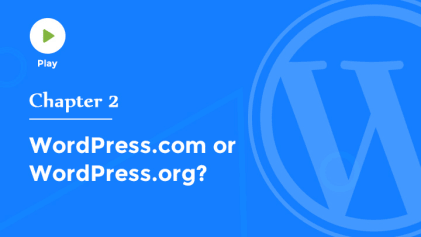 And there are other sites, like the WordPress Stack Exchange or wpquestions.com, where you can also find answers to all your WordPress questions. Right out of the box, WordPress is standards compliant and includes everything you need to ensure that your content is optimized for search engines, which is critical to your site's visibility and online success. In short, WordPress is made to do SEO well. And last, you'll be in control of your own content. Some other publishing platforms limit what you can and can't do on your own website, and you're locked into that service. If it should ever shut down, your content could simply disappear. With WordPress, you can import your data from other systems, like Blogger or Tumbler, and you can also easily export your data to move away from WordPress,should you choose. You're in control of your site and your content. So if you're looking for an easy tool that will help you to build your own blog or website without having to learn complicated HTML, no other system makes it this easy. And you'll find that WordPress is incredibly flexible, with thousands of themes, plug-ins, and support options, to ensure that your site will continue to grow with you in the future. 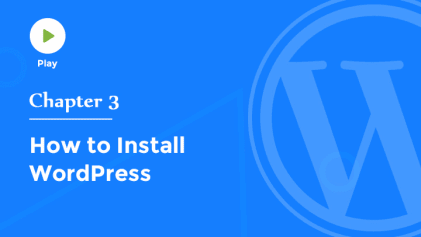 We trust this video's been helpful, and we look forward to seeing what you're able to build with WordPress.